The Coriolis Effect Simply Explained. And Then Not So Simply Explained. This video very simply (and very elegantly) demonstrates the Coriolis Force through the use of a ordinary garden hose. This force occurs, when the medium being measured is flowing at velocity ν through a tube that is rotating around an axis perpendicular to the direction of flow at angular ϖ. When the medium moves away from the axis of rotation it must be accelerated to an increasingly high peripheral velocity. The force required for this is called Coriolis force, after its discoverer. The Coriolis force reduces the rotation. The opposite effect occurs, when the medium flows towards the axis of rotation. 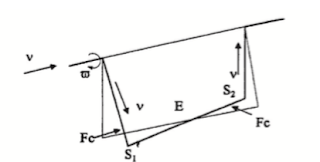 Then the Coriolis force amplifies the rotation. The entire measurement tube is deformed slightly by the Coriolis forces, in the way shown. This deformation is registered by movement sensors at points S1 and S2 . 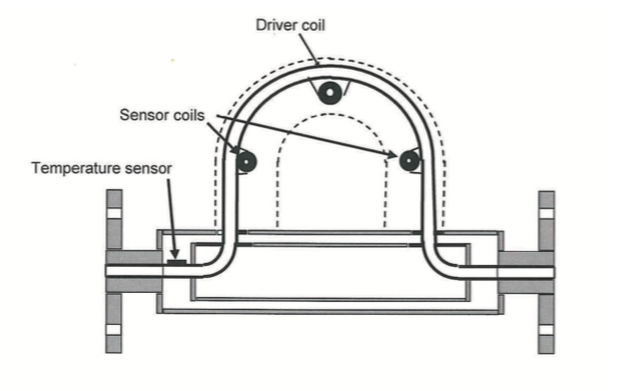 For practical exploitation of this physical principle, it is sufficient for the tube to perform sympathetic oscillations on a small section of a circular path. This is achieved by exciting the measurement tube at point E by means of an electromagnetic exciter. 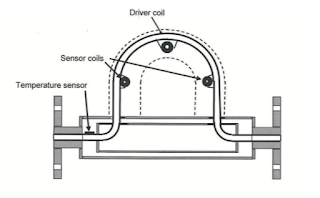 Coriolis flowmeters use the oscillating movement of two symmetric metal tubes that are made to vibrate from an internal driver coil. When liquids or gases flow through the tubes, a phase shift occurs (like you see in the hose) and pickups measure the “twist” and then relate that value to the actual flow. In other words, the amount of twist is proportional to the mass flow rate of fluid passing through the tubes. The greater the twist, the larger the distance between, and the greater the flow. Software-based systems are vulnerable to cyber attacks. Most of the industrial control networks (CAN, PROFI, Control Area, Ethernet and RS485) connect to the internet or other computer networks which are not fully protected from hackers and viruses. Present day industrial DCS/PLC control systems come with redundancy systems to eliminate shutdowns in case of DCS/PLC hardware failures. However, this does not protect your DCS/PLC system from any type of cyber attack. Without proper protection, the safety and/or operation of your plant or business are put at great risk. The document below describes how using a stand-alone annunciator system will will work as a failsafe for DCS/PLC/SCADA systems and improve . 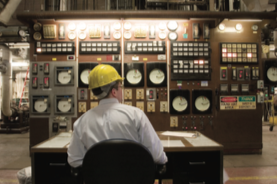 Improve Process Control Security Using Annunciators as Watchers from Flow-Tech, Inc. Engineers with small line size processes rely on the versatile are challenged finding a flowmeter with accuracy and repeatability. Many times orifice plates are specified for the job. An excellent alternative to an orifice plate, and one that should be carefully considered, is the Wafer-Cone, manufactured by McCrometer. Unlike an orifice plate, the Wafer-Cone has no sharp edges so extensive maintenance and inspection are not required. 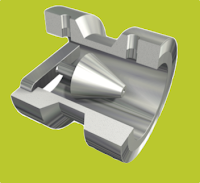 The flangeless Wafer-Cone® is a space-saving unit is that is easy to install and ideal for tight-space installations and retrofits. The cone conditions the flow so the Wafer-Cone requires minimal upstream or downstream pipe runs and can be installed virtually anywhere in a piping system. this meter offers a low cost of ownership and long life. 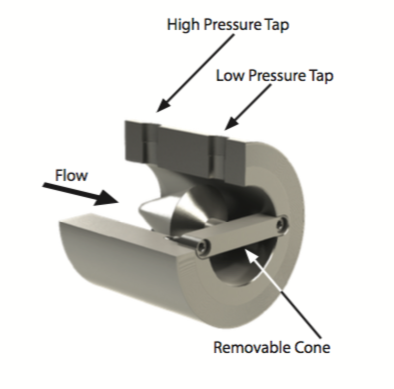 This device also offers interchangeable cones for flexibility in accommodating changing flow conditions without the need for recalibration. When flow conditions change over time, the cone can be removed and replaced with a cone at a different beta ratio eliminating the need to buy a new meter. Finally, the Wafer-Cone is available with remote or direct mount configuration. The direct mount option minimizes installation labor while ensuring accuracy. Direct mounting the transmitter eliminates impulse lines, which not only lowers installation costs but also reduces potential leak points by more than 50 percent. 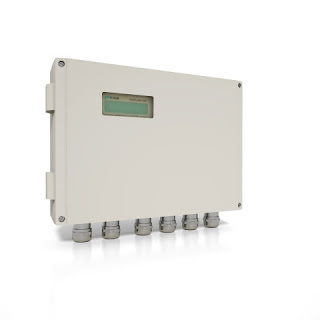 Simple plug-and-play mounting ensures the meter is installed correctly the first time and eliminates a potential source of ow measurement errors. BTU Metering for Energy Management from Flow-Tech, Inc.